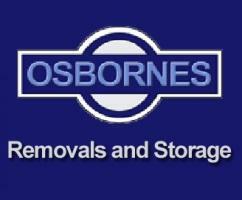 We're sorry, Osbornes Removals and Storage does not subscribe to our reserve online service. We're sorry, Osbornes Removals and Storage does not subscribe to our email service. 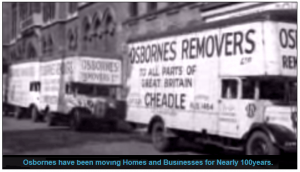 We're sorry, Osbornes Removals and Storage does not subscribe to our weblink service. We're sorry, Osbornes Removals and Storage does not subscribe to our SMS service. Osbornes Removals Company located in Sale within Manchester M33 offers a containerized storage solution at an affordable price. 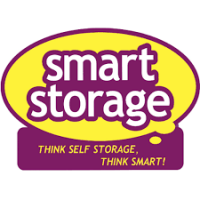 Take advantage of our storage facilities we cover areas Chorlton , Old Trafford, Stretford, Trafford Park , Flixton. Whether you are decluttering your home, having building work done or in-between moves. Whatever your reason Osbornes can help to safely store your goods. 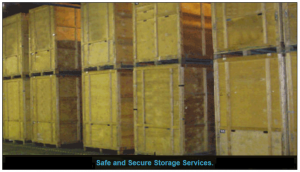 Storage Services offered by Osbornes Removals: Containerised and Conventional. Self Storage. Long and Short Term. Secure and Alarmed. Archive and Documentation Storage. Fully Inventoried. Fully Insured. 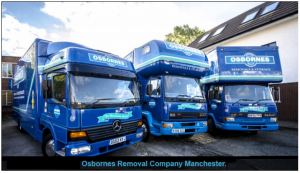 Osbornes Removals Company Manchester use a containerised system to store your goods. We are well equipped to collect your effects from your home and bring them safely into our stores. Manchester removal company, Manchester removals, Cheshire removals. 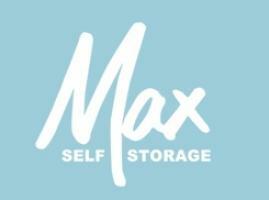 Containerized Storage, Storage, Manchester, Cheshire Our specially designed vehicles carry containers that are loaded onto them by a forklift truck at our Depot. When the vehicle arrives at your home, your removals crew will carefully load your effects into containers using our protective woolen blankets and other protective materials. 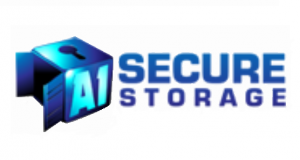 This ensures the safe keeping of your goods throughout the entire storage process. An inventory will be made of your goods which we would require you to check and sign. These containers will be closed in your presence at your home. The sealed containers are then taken into our Stores. The containers remain sealed until they are re-delivered to your new home. 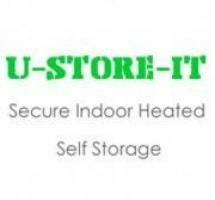 Rolled carpets, dismantled sheds and other larger items will be stored in a separate section of our storage facility. This combination of clean dry containers and our security alarmed depot ensures that your goods will be kept safe and sound whilst here at Osbornes.